Want free flicks this summer? The Portland metro area has an abundance of movies in the park programs. 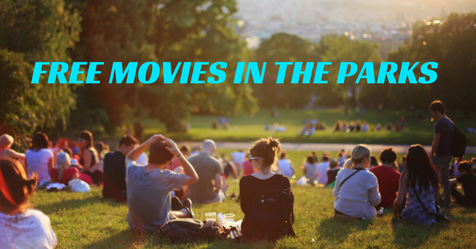 Scroll through the list below to the Portland’s movies in the parks along with Hillsboro, Beaverton, Tigard, Lake Oswego, Milwaukie, Oregon City and Gresham movie series. See more free family-friendly movies at the end of the post. Movie hop from one Portland Park to the next all summer long with the City of Portland’s Movies in the Park series. Live music and other fun festivities take place before the movies, starting at 6:30 p.m. Movies begin after dusk. Activities and music at City Park, SW 5th & Hall Blvd, start at 6:30 p.m. The movie begins at dusk. Stay tuned to the event site for more information. Every Friday in August at 8:30 p.m., enjoy kid-friendly movies at Oregon City parks. Travel to a new park on select Friday and Saturdays for the City of Tigard’s family-friendly movie series. Hillsboro’s free movies are four Fridays in August at various parks throughout the city. Musical performances and activities begin at 7 p.m., followed by the movie at dusk. Head to the Gresham Center for the Arts Plaza, NE Kelley and NE 3rd St, every Friday in August starting at 8 p.m. LIST COMING SOON! Take a tour of Milwaukie’s parks at 8:30 p.m. for the city’s fun after dark. Movies are held at different parks around West Linn on select Fridays. Movies start at 7:30 p.m.
Lake Oswego hosts its movie series at Millennium Plaza Park, 200 First Street, on Thursdays. Movies start at dusk (8:30-9 p.m.).